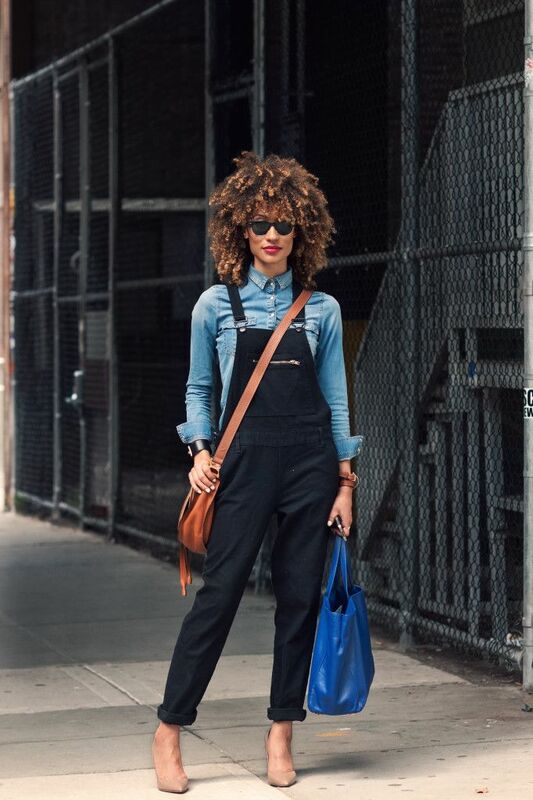 Why do so many women think that overalls look childish? It's a really stupid belief. 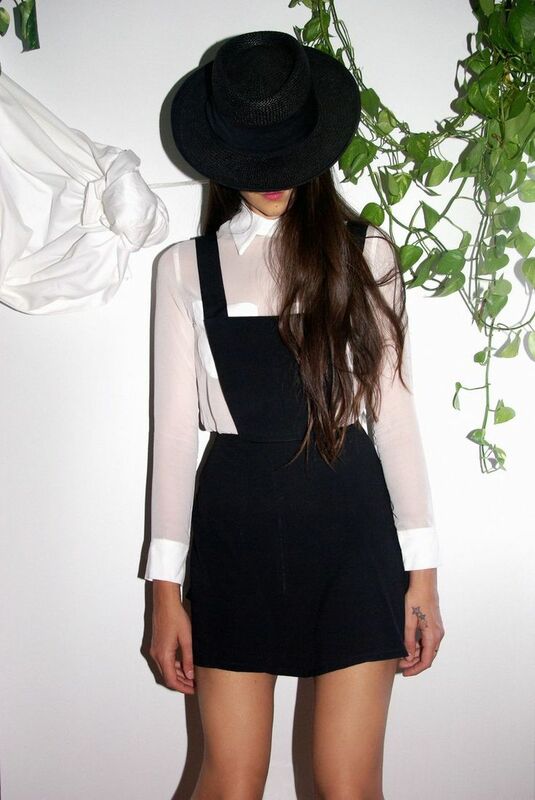 Personally, I think overalls can look ladylike, glamour and perfect, if you know the right mixing and matching style. This is my must-wear staple of summer season. 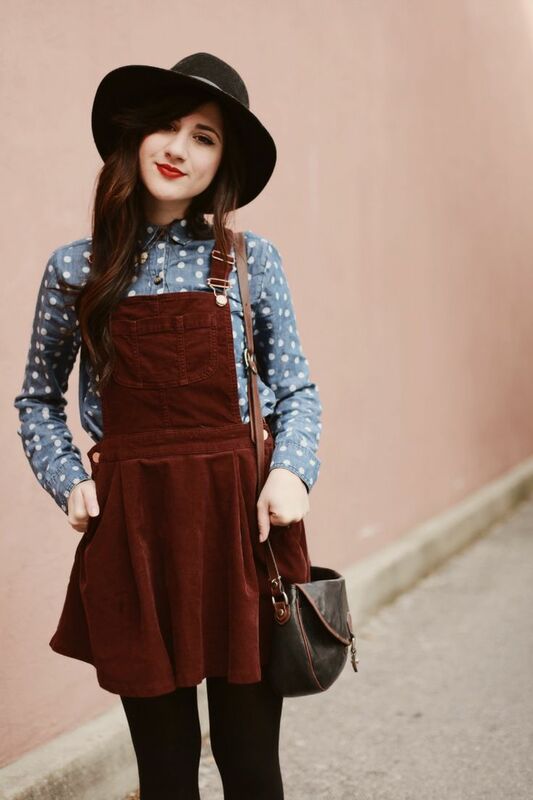 Are you interested to see my personal favorite street style looks of wearing overalls? If yes, then you are more than welcomed to see this awesome compilation. 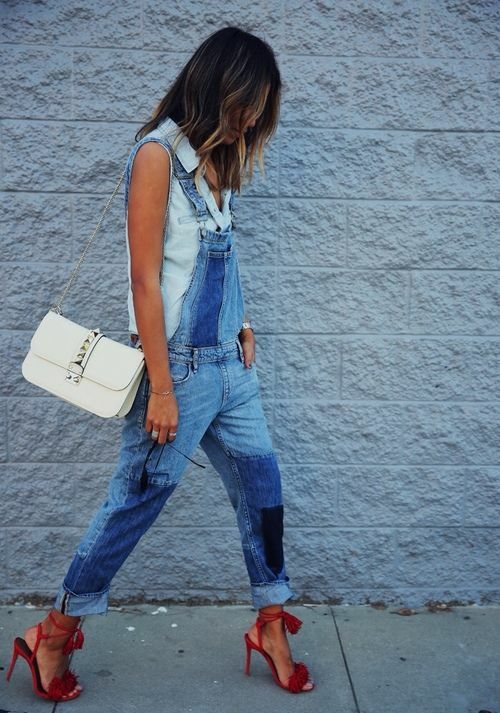 The denim overalls have a classic look what pretty much goes with anything, starting from crop tops, shirts to pullovers and tees. Personally, I am in love with girls who wear sweaters underneath their denim overalls, looks casual and glamour. But you can always go for a bralet or lacy bandeau and show off some skin. How about double denim look? Try your denim overalls with chambray shirt, believe me, this will look awesome! The black overalls have a sophisticated look what can be styled with vibrant prints and bright color tops, but you can also add a chambray shirt for a smart-casual appearance. 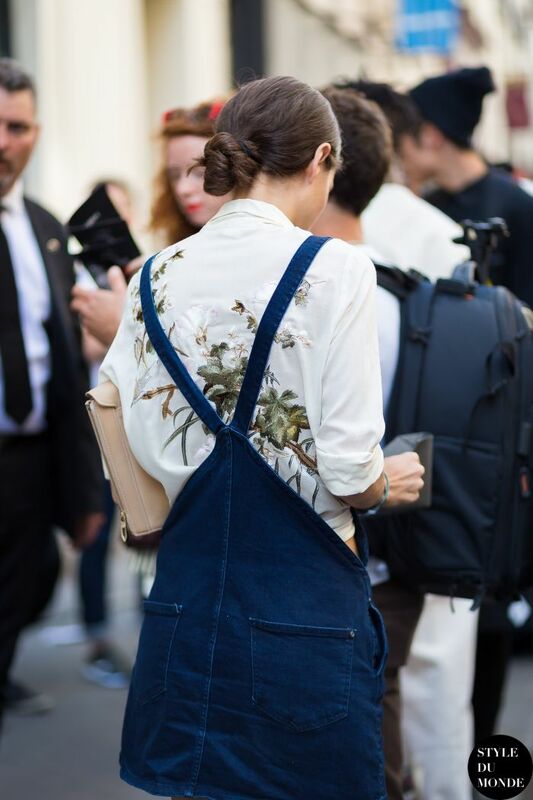 Hope these looks will inspire you to buy yourself brand new overalls for an off-duty model look.